Our client base is the American Automobile Association and its Canadian counterpart. 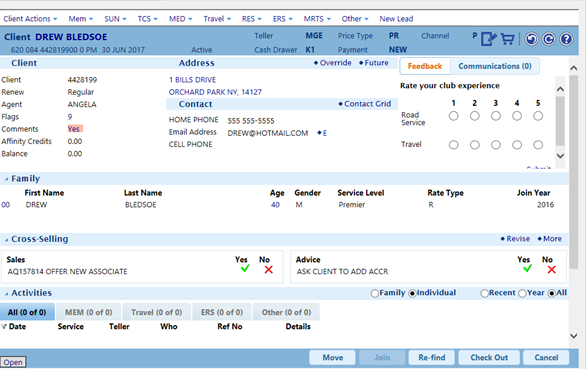 Our software enables the Autoclubs to serve the diverse needs of over 17.8 Million Members on an daily basis. Industry-leading software solutions for membership-based organizations. Provides rich functionality, flexible, tunable options and integrates with other business systems to enhance member interactions across your organization.